The study of communication at Vanderbilt remains at the center of the liberal arts tradition. Because Communication Studies (CMST) majors go into a range of professions after graduation—including law and politics, marketing and public relations, media production and journalism, technology and business—the Communication Studies Department anchors its curriculum in three key areas: critical thinking, effective writing, and eloquent speaking. Students are able to use their skills as thinkers, writers, and speakers in whatever profession they pursue. Courses offered in the department include the study of communication as it relates to gender, politics, the law, health, and social movements; analytical courses designed to improve student understanding of mediated communication; surveys of the rhetorical tradition; and courses that explore communication and culture. Ultimately, Communication Studies is devoted to an analysis of public discourse in the broadest sense, with an emphasis on media, persuasion in civil society, and social advocacy. In addition to courses that form the core of the major, special topics classes are also offered each year. Some recent examples include Rhetoric, Sports, and Society; Popular Culture and the U.S. Presidency; Rhetoric of the Body; Law, Communication, and Culture; Rhetoric of Medicine and Health; and Media, Culture, and Consciousness. Courses of independent study and research may be arranged with a professor who shares a student’s particular interests. Undergraduate students often have the opportunity to work closely with faculty on a variety of research projects. Recently, CMST major Caroline Hatfield (class of 2015) completed a Littlejohn Undergraduate Research fellowship under the direction of Professor Claire Sisco King. Entitled “The Cultural and Rhetorical Significance of Celebrity and Stardom in the Contemporary United States,” the project looked closely at the challenges female comedians face on and off screen. Because of their collaboration, Caroline and Professor King were featured prominently by Vanderbilt News and Communications. All undergraduate students are eligible to participate in the Vanderbilt Debate Program. Debate provides a forum in which to examine the major issues and concerns facing our society. These issues cover every discipline from politics and economics to sociology and ecology. The program develops students’ research skills and awareness of public policy. 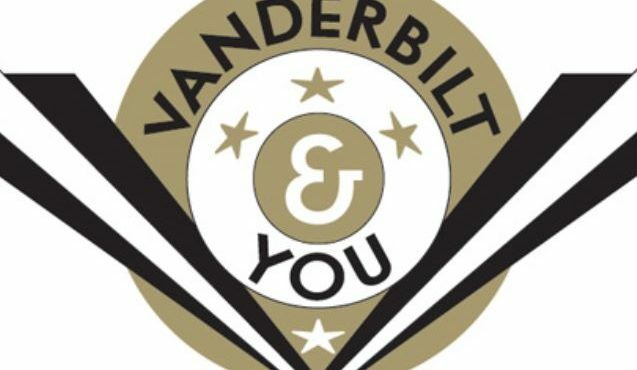 Vanderbilt competes at the national level and maintains a consistent top 20 ranking. Communication studies majors are encouraged to pursue study abroad opportunities and internship programs. For example, students have worked as interns in law and state government, in various news and media settings, and in public relations and marketing firms. The department sponsors public lectures in the fall and spring semesters. The visiting speakers also make presentations in communication classes during their stay at Vanderbilt. These speakers include prominent scholars in the field of communication and leaders in various industries, including entertainment media, news media, and the law. Lambda Pi Eta, the honor society of the National Communication Association, has chartered a local chapter at Vanderbilt. Students who meet certain academic standards are chosen for membership each year. In addition to being a mark of honor, Lambda Pi Eta offers majors the opportunity to network with successful alumni from the department. Twice a year, students in public speaking classes compete for cash prizes in the Franklin K. Houston Public Speaking Contest. At the end of each academic year, a Founder’s Medal for Oratory is awarded to the student deemed most outstanding in the art of public speaking. A large percentage of Communication Studies graduates enter professional schools, law and business in particular. Others do graduate work in communication, political science, journalism, and economics. Majors in Communication Studies develop skills in reasoning, speaking, writing, and analyzing arguments, which make them attractive to employers in the business and professional world. Careers of past graduates include finance, development, banking, policy analysis, teaching, consulting in human resources, media production, new media consulting, public relations, marketing, journalism, political lobbying, freelance writing, and news production. The Communication Studies webpage offers a series of testimonials from former CMST students about where they are now and how they have used the ideas and skills they learned from their major. The Department of Communication Studies consists of thirteen faculty members, who work closely with undergraduates. Because of the size of the faculty, students are able to take multiple courses with individual professors. This, in turn, allows faculty to better understand student needs and goals at Vanderbilt and beyond. Communication Studies faculty set the standard for teaching excellence at Vanderbilt, as demonstrated by consistently outstanding student evaluations. In the last decade, members of the faculty have been awarded the prestigious Ellen Gregg Ingalls Award for Excellence in Classroom Teaching, Ernest A. Jones Faculty Advising Award, Alumni Education Award, Jeffrey Nordhaus Award for Teaching, Thomas Jefferson Award for Service, and Chancellor’s Cup. In addition to these teaching awards, Communication Studies faculty routinely receive national awards for their scholarship. Faculty members conduct research in such areas as presidential rhetoric and U.S. political communication, the rhetoric and representation of feminism, portrayals of gender and violence on film and television, media and cultural criticism, communication and the law, the rhetoric of philosophy, and communication and public health.